Talk about the office's research process based on our work. Dissect the management process of project ideas and strategies of architectural structures from fundamental components such as the site, the territory, the inhabitant and their memory, translating it into a materiality where construction techniques refer and explore traditional systems and materials using the current technology. She has given lectures, workshops and postgraduates in different universities in Mexico, USA and different countries in South America. 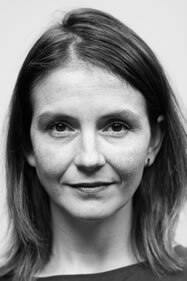 Magazines, books and exhibitions nationally and internationally have published and highlighted her work which has been awarded in national and international competitions such as the Biennial of Mexican Architecture, Iberoamericana and Panamericana. In 2012, the Faculty of Architecture from the UNAM awarded them with the Federico Mariscal Chair, the highest recognition of this Maximum House of Studies for professional practice, as well as the Emerging Voices Award in 2014 by the Architectural League of New York. This year she was honored with the international award promoted by English publications: Architectural Review and Architects Journal as "Architect of the Year 2017". Topic: "Why PLEA buildings didn't glow with the Green Architecture - can it be changed? Green building rating systems, use simple ‘point hunting’ approach. The tendency is to choose "cheap and easy” points in order to collect enough points to win the label “Green Building”. The points won for reducing the energy consumption of the building are, in general, neither "cheap" nor “easy”. Moreover, the green rating systems don't separate the impact of the building good Bio-Climatic design from the impact of the building’s systems despite of the fact that the building and systems have different lifespan scales and therefore influence differently the environment and the human well-being. We discuss the question how can we endorse and promote good bioclimatic, passive solar architecture into the main stream Green Architecture. 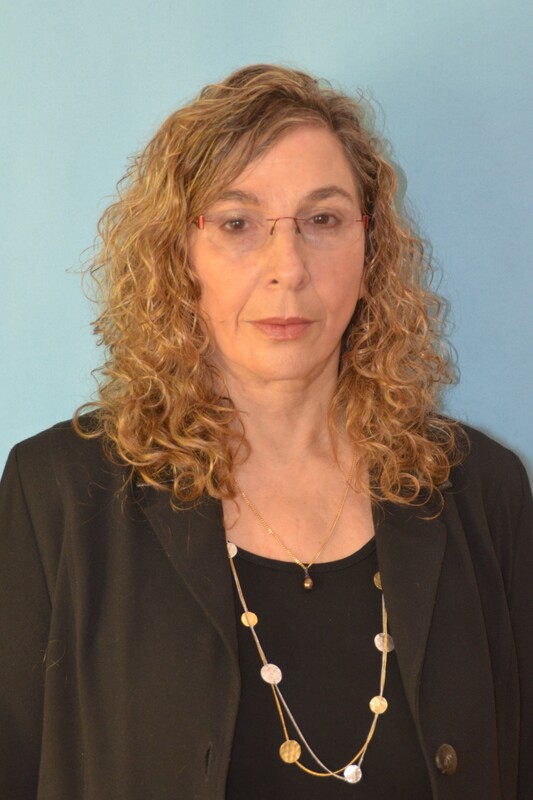 Edna Shaviv is a Professor Emeritus of Architecture & Town Planning and held The Alfred and Marion Bar Chair in Architecture Technion - Israel Institute of Technology Faculty of Architecture & Town Planning. She initiated in 1969 research and teaching of CAAD and in 1979 initiated research and teaching of Bio-Climatic & Passive Solar Architecture. Her research activities include developing CAAD tools and design guidelines for Passive and Low Energy Architecture on buildings & City scales. She supervised over 20 D.Sc and M.Sc students and wrote over 150 original papers in professional refereed journals, chapters in books, and conf. proceedings. She was a Founder and head of the "Climate and Energy Laboratory in Architecture", which carried research for different Governmental Offices in Israel. She honored by the "American Solar Energy Society" with the title: "PIONEER IN PASSIVE SOLAR ENERGY", 2012. and honored by the "World Renewable Energy Network" with the title: "PIONEER IN RENEWABLE ENERGY", 1997. With the increase of natural and man-made disasters around the globe, it becomes increasingly important to understand how architects, and architecture, can contribute to post disaster reconstruction efforts. While there is an argument that architects are the last people needed in this scenario, a collaborative process of planning, designing and building has the potential to form more resilient communities. Architects Sudarshan Khakda and Alexander Eriksson Furunes will share their project, Streetlight Tagpuro, a collaborative design and build process that began 3 years before the strongest typhoon to ever hit land devastated Tacloban city (Philippines), and the 3 years of reconstruction that followed. Alexander Eriksson Furunes studied at the AA School of Architecture, UK, before receiving his masters in architecture at NTNU, Norway. With his studio, Eriksson Furunes architecture, he has initiated and completed a series of collaborative projects with communities in UK, India, Philippines, Brazil, Vietnam and China. He is currently doing an Artistic PhD on participative planning, design and build processes at the Norwegian Artistic Research Programme (2016-19). His work is a critical reflection of previous projects as well as an exploration of collaborative placemaking through new projects in both Asia and Europe. Sudarshan V. Khadka Jr. is the principal of i.incite, architects. Formerly, he was an associate at Leandro V. Locsin Partners (LVLP) where was in-charge-of multiple projects. He is a member of the curatorial team of the Philippine Pavilion, “Muhon: Traces of An Adolescent City” at the 2016 Venice Architecture Biennale. He is driven by the critical search for a modern vernacular and the exploration of the tectonic potential of construction. ‘Streetlight Tagpuro’ won the Civic and Community Category and the Small Projects Prize at the World Architecture Festival 2017. 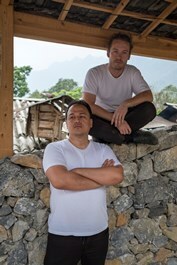 The project was a direct collaboration between Eriksson Furunes and Sudarshan Khadka, which has developed into other participatory projects since. Bamboo is a reinforced tube with a tensile strength higher than steel. It is light, load bearing and flexible at the same time. The only reason why it is not widely used is a scarcity of reproducible engineering data and research information. Although the problem lies in human ignorance, it is attributed to material weakness. If bamboo is correctly harvested, the age and species chosen correctly, structural bamboo can last for 50 years and more. The often-cited weakness of connections can be overcome with the right design. Besides its extraordinary functionality bamboo is a pleasure to look at and absorbs carbon during its production (growth) resulting in negative carbon footprint buildings. Markus Roselieb born in Vienna, one of the cultural capitals of Europe, and spending every free time in the Austrian Alps, he was exposed to masterworks of classic architecture as well as to nature’s monuments at the same time. This resulted in an admiration of craftsmanship especially regarding mastering structural challenges, but at the same time wanting to touch the heart and the eye with nature’s free flowing organic forms. So even after graduating as medical doctor from the university of Vienna in 1992, enjoying and creating spaces became more and more the real focus of life. Consequently, later when the occasion arose, he started designing and building houses on the side. First in Austria, later in Thailand. In 2009/10 the opportunity arose to design and build a school in Chiang Mai, Thailand. At that time, he was quite frustrated with the conventional construction materials, as they deteriorate quickly when close to the sea and protect poorly against heat. His proposal to build the school entirely from bamboo and earth was accepted and the journey began. Since then he has set up a company that specializes in the design and construction of bamboo and earth buildings and have designed and built a variety of projects. His goal is to establish these materials as acceptable construction materials for the customer of the 21st century by combining them with modern design, engineering knowledge and common sense. Nature has been cycled through billions of years in a circular manner, creating a stark contrast with our economy, which has been moving forward in a linear manner, especially after the Industrial Revolution. Bio-architecture Formosana’s two recent projects: Tai Sugar Circular Village and Shalun Circular City will attempt to address the trending topic of circular economy through the perspective of sustainable architecture and the possibility of the architecture under the Circular Future. Ying-Chao Kuo is the principal architect of Bio-architecture Formosana. With BS degree from National Cheng Kung University and M.Arch from University of California, Los Angeles; Ying-Chao Kuo has also worked for Moore Ruble Yudell Architects & Planners for 6 years prior to founding Bio-Architecture Formosana. Aside from his professional practice, Kuo is also actively engaged in the field of academia as an adjunct professor at the National Cheng Kung University, National Taiwan University of Science and Technology, and National Chiao Tung University. Throughout his extensive career, Kuo has received numerous for his achievement in his design of sustainable architecture, most notably the recipient of the 12th Annual Outstanding Architects Award in 2011. Co-founded with his partner Ching-Hwa Chang in 1999, Bio-architecture Formosana has become the leading architecture firm of sustainable design in Taiwan with design philosophy focused on the development and implement of design innovation, renewable energy, and environmental sustainability. Bei-Tou Libarary, one of the break-through projects at Bio-architecture Formosana, has become the most published Green building in Taiwan, and also selected as one of the 25 most beautiful community libraries in the world. This talk will introduce the newly completed Net-Zero Energy Building in the School of Design and Environment, National University of Singapore, as a Living Laboratory for “Well and “Green” research and education. The shared vision for this project is first presented through a video interview of the stakeholders, including the clients and the designers. Key features contributing to the net-zero energy target and results of a preliminary study of occupant comfort within the space cooled by a novel hybrid conditioning system, will be discussed. Professor Lam Khee Poh is the Dean of the School of Design (SDE) and Environment, National University of Singapore. 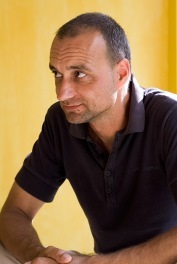 He is an educator, researcher, architect and consultant who specialises in life-cycle building information modeling and computational design support systems for total building performance analysis and building diagnostics. He teaches architectural design (with a focus on systems integration), building energy modeling, building controls and diagnostics as well as acoustics and lighting. His work has been widely published, and he has served as the building performance consultant for several major award winning projects in the private and public sectors in Singapore, China and the US. Prof. Lam is a recipient of the 2013 Alexander Schwarzkopf Prize for Technological Innovation from the US National Science Foundation in recognition of his exemplary research contribution to technology innovation and positive impact on technology, industry and the society as a whole. 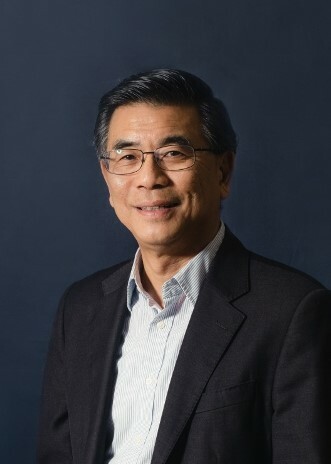 Most recently, Prof. Lam is elected a Royal Institute of British Architects (RIBA) Fellow for his significant contributions to the profession, where the RIBA Fellowship recognises the achievements of Chartered members that have made a significant contribution to architecture, the profession and the community. The Green Building Movement embraces all of humanity by making suitable buildings and environment accessible to everyone, everywhere, and in doing so, benefits the natural environment around us. First and foremost, Planning and Design Process is pivotal to our long term success in reducing consumption. We must strive to overcome challenges, and apply passive, low emission design as a first principle. However, in a high rise high density compact city like Hong Kong in sub-tropical climate with typhoon exposure, the road to planning and designing for passive and low energy developments is always full of challenges. (1) The overarching principles of sustainability are at work. HKHA has been applying lean design, lean construction and integrated development strategies all the time. (2) HKHA has been systematically reducing resources consumption for about two decades. More stringent codes like visual impact, noise mitigation, air ventilation, universal accessibility and illumination requirements for people with different abilities are introduced over a period of time. (3) HKHA plants dreams and grow miracles, as it embarks on a road of passive and low carbon design and continue to excel. Engagement of people, comprising staff, business partners, users and stakeholders is key to success. Ms. Ada FUNG, BBS, JP, FHKIA is an Architect by profession. She is an active member in the Architectural field as well as in the construction industry in Hong Kong. In her career as Deputy Director of Housing, she supervises the Development & Construction Division of the Housing Department, overseeing all facets of public housing development work in Hong Kong. Her duties cover overseeing project management, planning, design and contract management, as well as establishing operational policies on procurement, design, construction, quality, performance assessment, dispute resolution, research and development, safety and the environment. She also promotes partnering, value management, risk management, ethical integrity, site safety, corporate social responsibility, sustainable development, community engagement, green building and Building Information Modeling and product certification in the industry. She is the Past President of the Hong Kong Institute of Architects (2013 - 2014), past Chairperson of the APEC Architect Monitoring Committee of Hong Kong (2012/13 - 2015/16), and past Chairperson of the Architects Registration Board (2010/11 - 2011/12). She is one of the Directors of the Hong Kong Green Building Council.